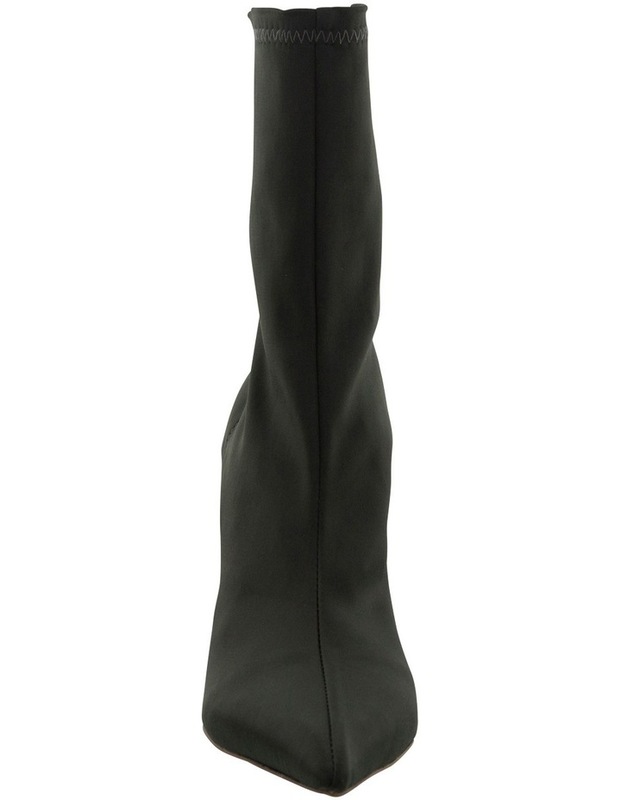 Tony Bianco's most coveted boot Davis will be your new trans-seasonal go to. Made from a luxury khaki shine satin the stretch fabric in a sock look upper is designed to perfectly hug your foot. 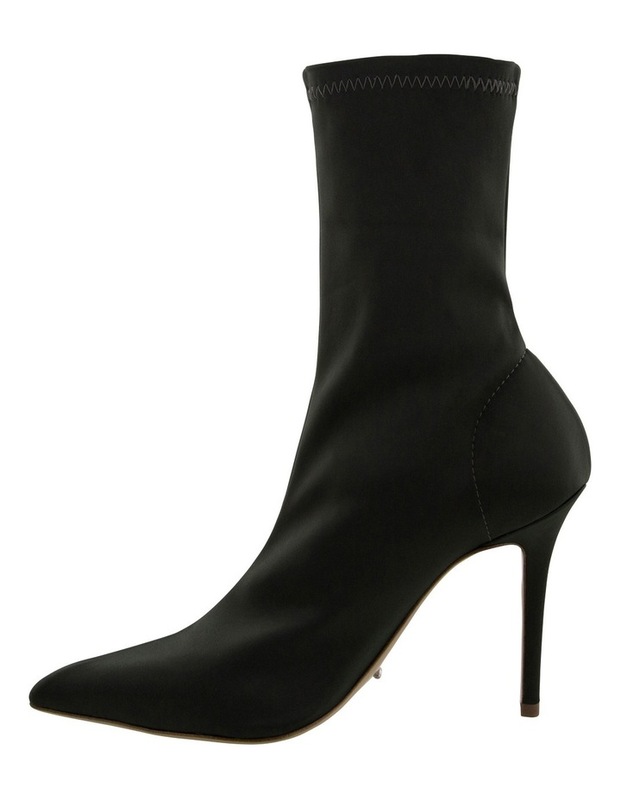 The design features a pointed toe front, centre front seam and slender stiletto heel. Pair your with anything from long dresses to a white t-shirt and leather mini for a more casual look.